Charter Member Al Daigle Sr. is recognized by President Kathy Boyd for 44 years of perfect attendance at weekly meetings. 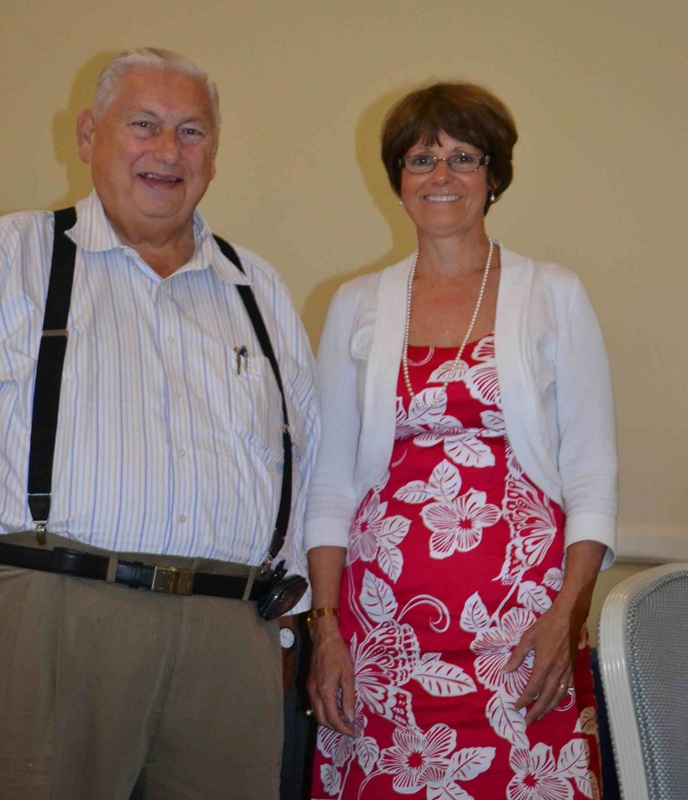 Al Daigle, Sr., charter member of the Rotary Club of Dracut, was honored recently for his perfect attendance. Al has not missed a meeting since the Club held it’s first in December of 1969. As her final official act, outgoing President, Kathy Boyd, presented Al with a perfect attendance award, signifying 44 years without missing a meeting. Regular attendance at weekly meetings is an integral part of membership in Rotary. Members are encouraged to make up missed meetings by attending meetings at other clubs, and by taking part in club, district or Rotary International events. Al has made it a point to make up any meeting he has missed in Dracut by attending another club’s meeting or by participating in a recognized Rotary event. He is to be congratulated for his commitment to the Club for more than four decades.